Crista has a passion for guiding people in finding their fullest potential. She believes that we are all made to lead successful, fulfilling lives and sometimes problems we encounter along the way cause us to lose sight of that. Her mission as your therapist is to collaborate with you in understanding where these issues originate, how they’re effecting you, and how to use them to strengthen and enhance your life. Crista has been in practice for nearly 3 years, treating people from all walks of life. Her clients find her approaches effective in helping them recognize challenges and unhealthy patterns and to build upon their strengths. Her experience comes from assessing, consulting, and providing therapy in a long-term treatment center setting, as well as in private practice at TRU, treating anxiety, depression, identity, attachment, relationships patterns and life transitions. 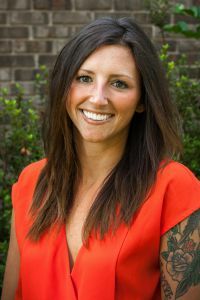 Her orientation is humanistic, experiential and client-centered, which means clients take an active role during they sessions as Crista and her clients work together to identify and process negative thoughts and emotions that impact their behaviors and decisions. Crista will help you find insight into how your past is impacting your present, how to stay in the moment, and how to lead a meaningful life. Crista will help you find insight into how your past is impacting your present life, how to stay in the present, and how to lead a meaningful life. ***All scheduling is by appointment only. Call 404-846-0699 to schedule your appointment now.